A University of Nebraska-Lincoln professor has been named a Fellow of the Royal Society of Chemistry in the United Kingdom. Xiao Cheng Zeng, Ameritas University and Willa Cather Professor of Chemistry, has joined a prestigious group in one of the oldest scientific societies in the world. The Royal Society of Chemistry is the largest organization in Europe for advancing the chemical sciences. Zeng was one of 12 new Fellows named by the society this year. Fellows are the most senior category of membership in the Royal Society of Chemistry and the honor recognizes those with substantial career progression and demonstrated seniority and maturity of experience in any field that involves or promotes the advancement or wider application of chemical science. Zeng applied for the fellowship earlier this year after being appointed an associate editor in 2012 for Nanoscale, a society journal focusing on nanoscience and nanotechnology. "When I was chosen as associate editor, I felt it was important to have some credentials within that society, which is why I applied," Zeng said. "Having only applied one time, it was very humbling to be selected. This is an honor not only to me but also to my team and the university." 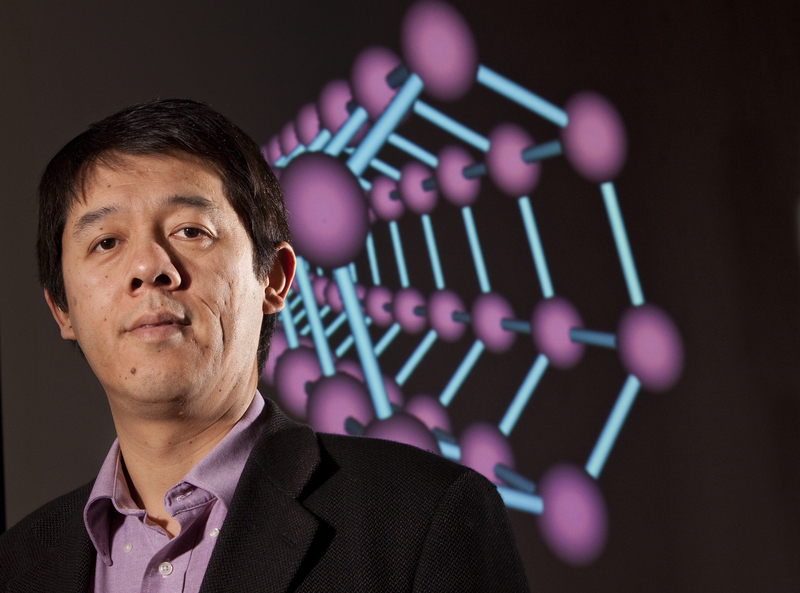 Zeng, whose research interests are computation chemistry, materials chemistry and nanoscience, has made several groundbreaking discoveries, including how buckyballs make up the atomic structure of gold and "Nebraska Ice" -- the nickname for the discovery that water contracts rather than expands when it is frozen at extremes of subnanoscale confinement. Zeng said none of the discoveries could have been made without the support he has received from his research team and the university. He said Nebraska Research Initiatives and the Holland Computing Center have been extremely positive with which to work. "The computing center really makes our research stay at the cutting edge," he said. Zeng began his UNL career in 1993. He said he hopes his selection as a RSC Fellow will give the university more international recognition. "The university has as mission to go global and gain international recognition and being a Fellow in that society will give more exposure to UNL," Zeng said. "And the university has been so good to me, I want to give back."